In Texas, we value our heritage and our property rights. 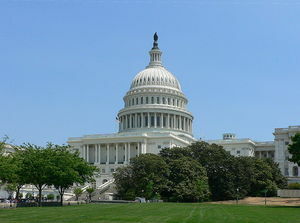 You should therefore be aware that some in the United States Congress are seeking to increase the tax burden on those who make private investments in the preservation of historic buildings by eliminating the federal historic preservation tax credit, which has been in place since 1981. Texans should reject this effort to raise federal tax revenue on the backs of private, local investments in Texas’ heritage. 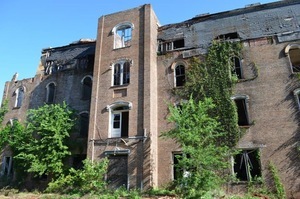 Private property owners should be given as much financial flexibility as possible to give new life to vacant, disused buildings in failing neighborhoods. Those who save historic buildings are heroes who not only protect and sustain the historic commercial districts that are the foundation of free enterprise, but also remove blight and social decay by eliminating safe havens for criminals and derelicts and eradicating the public health and safety risks of vacant structures. 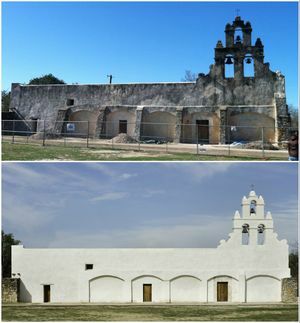 The federal historic preservation tax credit, coupled with the new Texas state historic preservation tax credit that goes into effect next year, promises to trigger millions of dollars in private investment, rebuilding iconic places and everyday neighborhoods from Amarillo to Zapata. It makes no sense to strip property owners of this incentive, which offsets the many burdens and barriers to creative investment that byzantine land use regulations and building codes already impose. If there’s a proven way to create skilled construction jobs, support small businesses and protect investments in private property, it’s to let the free market work in historic neighborhoods. A new layer of taxation on the billion dollar powerhouse of preservation in Texas accomplishes nothing. Countless economic studies have proven that voluntary investments in historic buildings are an essential part of the local economy. Historic downtowns generate increased economic activity by sustaining vibrant, diverse neighborhoods, encouraging heritage tourism, and elevating property values. Investing in the rehabilitation of old buildings, from courthouses to corner stores, also means that local taxpayers save money by not funding wasteful expansions of public infrastructure that increase sprawl, create congestion and ultimately erase the irreplaceable evidence of our proud heritage. Ronald Reagan said it best: “Our historic tax credits have made the preservation of our older buildings not only a matter of respect for beauty and history, but good economic sense.” This is the kind of Washington-on-the-Brazos wisdom that Texans need in Washington-on-the-Potomac. Contact your Congressman and Senators and let them know you support the federal historic preservation tax credit! Download PT’s letter on federal tax credits here. Built by Christian Dorbandt, this house in Marble Falls is a visual landmark in Burnet County. 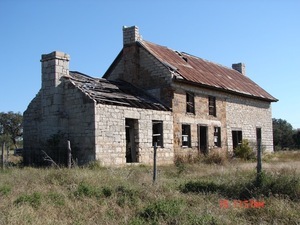 On May 20th, Preservation Texas released its 2014 list of Texas’ Most Endangered Places. A culturally significant conjunto night club, a limestone house that is one of the most photographed sites in Texas, a historic African-American seminary, a restaurant that is a classic example of mid-century commercial architecture, and a tract of land on the Rio Grande in El Paso that holds archaeological and architectural evidence of many layers of history dating back to 1598 are among the twelve sites that were named to our eleventh annual list. The Mary Allen Seminary in Crockett is a remarkable example of the Second Empire style of architecture. We are grateful for the support of the 2014 Preservation Summit sponsors: Zach Vernon and Drawn This Way, City of Dallas, Dallas Heritage Village, Historic Mesquite, Trans Pecos Land Surveyors, Ms. Lila Knight and Ms. Lynn Vogt. Foundation support for our Most Endangered Places program is provided by Burdine Johnson Foundation, Richard Collins Foundation, Dodge Jones Foundation and the Summerlee Foundation. 2014 Honor Awards: A Call for Nominations and Save the Date! Do you know of a successful rehabilitation or restoration project in your area? Do you know someone who is tirelessly working toward improving preservation in Texas? If so, consider submitting a nomination to Preservation Texas Honor Awards. Award recipients will be honored on Saturday, November 22nd in Houston, Texas. We hope to see you there! Check our website in July for nomination forms and event details. 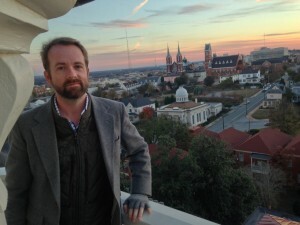 Evan R. Thompson began work as executive director of Preservation Texas on April 1, 2014. He previously served as executive director of the Preservation Society of Charleston and Historic Beaufort Foundation in Beaufort, South Carolina. Thompson, a graduate of The University of Texas School of Law, brings nationally-recognized leadership to Preservation Texas. In 2011, his innovative advocacy and programming was recognized by the National Trust for Historic Preservation with its inaugural Aspire Award. In Charleston, Thompson led the Society through complicated legal advocacy while developing important outreach programs through continuing education, recognition of African-American heritage, and solutions-based approaches to preservation challenges from abandoned cemeteries to under-appreciated vernacular architecture. In 2010, he was recognized by the South Carolina legislature in 2010 for his preservation efforts in South Carolina. 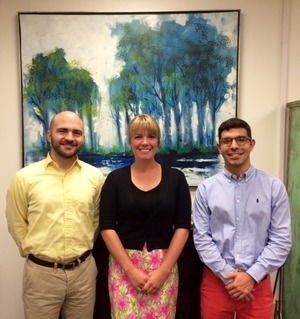 Three summer interns are working hard to expand Preservation Texas’ programs and initiatives. Paul Cato, a south Georgia native, has completed his first year in the University of Texas Historic Preservation graduate program. He has a degree in history from Emory University. He previously helped to found and manage Chiiori Trust, a non-profit organization that consults on adaptive reuse projects in rural Japan. He has a strong interest in sustainable preservation in shrinking communities. This summer, Paul is analyzing sites in the Texas Panhandle that have been listed as Most Endangered Places since the list began in 2004, and will assist in other program areas as well. Madeline Clites is originally from Williamsburg, Virginia. She recently moved to Texas from Washington, DC where she was working for the Architect of the Capitol as a Program Analyst in Historic Preservation. She has a Masters in Historic Preservation from the University of Kentucky where her thesis topic focused on how historic preservation organizations can use social media more effectively. Her internship work includes broadening our communications outreach, spotlighting the upcoming 2014 Honor Awards program while drafting materials for newsletters and social media outreach. Andres Morales is an undergraduate student at The University of Texas at Austin studying Real Estate Finance. He is very interested in the sustainable development of communities and the adaptive use of historic buildings and plans to attend graduate school for historic preservation in the near future. In his free time, he enjoys reading Curbed, riding his bike, and exploring Austin’s food, music, and art scene. Andres is working to review and analyze Most Endangered Places in South Texas, as well as other initiatives and programs.